Casually dressed but definitely all business, horses and riders had 120 seconds to familiarize themselves and their mounts to the Thomas & Mack Center arena over a track of eight obstacles set by American course designer Anthony D’Ambrosio in preparation for The 2015 LONGINES FEI World Cup Jumping Final. A world-class designer, D’Ambrosio also created the tracks for the 2009 FEI World Cup Finals. Having previous experience with the Thomas & Mack Center arena should bode well in developing the upcoming track challenges for show jumpers hailing from nineteen countries. Not only is the international representation remarkable, riders range in age from nineteen to fifty-five, and horses from nine to nineteen. The youngest horse is the eight-year-old mare KS Coradina with Latvian rider Andis Varna competing against veterans like the ever-young Irish Sporthorse stallion Flexible at the age of nineteen. Some riders, such as Americans Jack Hardin Towell and Vinton Karrasch, are competing in their first FEI World Cup Final, while we also welcome Geir Gulliksen of Norway who hasn’t competed in this Final since 2006. Certain to add competitive flair, the 2012, 2013 and 2014 World Cup Champions and their mounts, Americans Rich Fellers with Flexible and Beezie Madden aboard Simon as well as German Daniel Deusser on Cornet D’Amour, respectively, are all here to claim another World Cup™ title. Fellers and Flexible, however, are the only ones that competed here at the Thomas & Mack Center back in 2009. 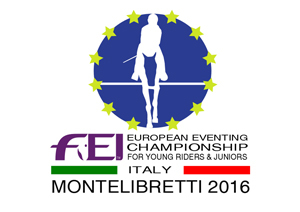 Deusser is currently ranked first on the FEI LONGINES World Ranking list, while Madden is sitting seventh. Quite a few world-ranked riders are on the start list, including Kevin Staut of France, Olympic Gold Medalist Steve Guerdat from Switzerland and the rising star from Ireland, Betram Allen, who are currently ranked eighth, ninth and tenth. Most warm-up riders jumped all eight jumps in the order set, plus spent precious time riding around the perimeter of the arena. That work space will certainly seem increasingly smaller as the jumps increase in number and height. Several riders did a touch of flatwork, finishing up their training session with a relaxed walk and pat on the neck. 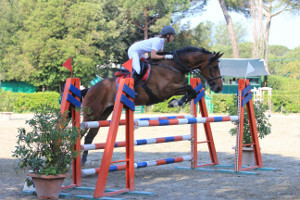 American Laura Kraut on the eleven-year-old KWPN mare Nouvelle chose to both jump as well as ride in-between the jumps. The crowd chuckled when the mare illustrated her talent leaping over the ferns between two jumps. Also notable, Fellers and Flexible only flatted around the arena, choosing to save the jumping for the remainder of the week. Just missing the Final Four at the 2014 Alltech FEI World Equestrian Games, American McLain Ward, currently fourth aboard the warrior Rothchild are also poised to impress. Thursday night will set the stage for The 2015 LONGINES FEI World Cup Jumping Final. Noted in the rules as a ‘Table C over a Table A course’, with a maximum height 1.50 meters, this speed class for world class athletes sets the pace for the rest of the competition. The 2015 FEI World Cup Finals features both the Reem Acra FEI World Cup Dressage Final and the LONGINES FEI World Cup Jumping Final. The FEI World Cup Finals has returned to the United States for the first time since 2009, and provides a unique opportunity to witness the world’s best horses and riders in both show jumping and dressage competing under one roof at the Thomas & Mack Center in Las Vegas. The Reem Acra FEI World CupTM Dressage Final includes Thursday afternoon’s Grand Prix and Saturday afternoon’s Grand Prix Freestyle as well as the Las Vegas Dressage Showcase on Friday. 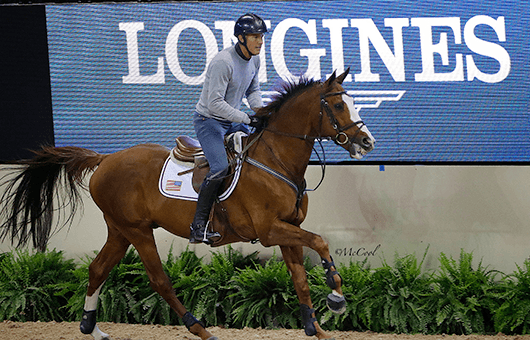 The LONGINES FEI World CupTM Jumping Final includes Thursday evening’s one-round speed class, Friday evening’s jump-off class and Sunday afternoon’s two-round Final, as well as Saturday evening’s $75,000 Canadian Pacific Grand Prix of Las Vegas. 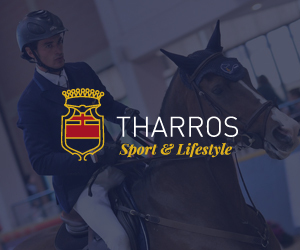 VIP guests of the FEI World Cup Finals are being treated to top amenities that can’t be duplicated anywhere else in the world at the Taylor Harris Club presented by The National Horse Show. The Taylor Harris Club includes a private VIP hospitality area complete with deluxe food and beverages as well as VIP preferred parking. Started in 1979, the FEI World Cup Final for jumping riders is an annual international showdown among the world’s best show jumping horses and riders. In the 36 Finals held through 2014, Germany (10) and the United States (9) have emerged with the most titles, having won the championship nineteen times between them. Previous FEI World Cup™ Jumping Finals held in the United States include Baltimore (1980), Tampa (1989), Del Mar, CA (1992) and Las Vegas (2000, 2003, 2005, 2007, 2009). First held in 1986, the FEI World Cup Final for dressage riders features the world’s best dressage horses and riders. The United States has won the championship twice – in 2003 (Debbie McDonald with Brentina) and 2009 (Steffen Peters with Ravel). The Final has been held in the U.S. in Los Angeles (1995) and Las Vegas (2005, 2007, 2009). For further information, please visit the World Cup’s website at www.WorldCupLasVegas.com.